I've always wanted a garden office to work in, so when I found a second-hand pavilion suitable for conversion that would exactly fit in the space, I bought it. I then needed to find someone who could convert the shell into an insulated, powered, heated work space. Peter was just the man for the job. He took the time to understand what I wanted, provided a variety of quotes for different options that I could choose from, and when I asked him to do the work he was your ideal builder, with the right contacts to organise an electrician, built to the requirements of the wood burner installers, and sourced all the right materials for the finish wanted. The job was completed on time, to budget, and the quality of the work is exceptional. 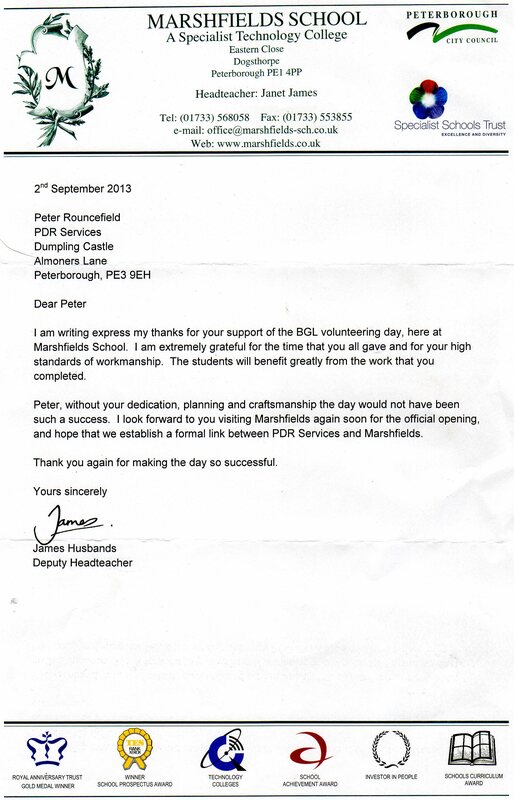 We at Southfields Primary School are extremely happy with all the work that has been done here by Peter. All work has been completed within the schedule specified to an extremely high standard and offers great value for money. I would thoroughly recommend his services to anyone. I have used PDR Services to help create a Victorian Artefact Museum within my school. I am thrilled with the outcome. A magical, historical room has been created which will inspire and excite our children. The quality of the craftsmanship is exceptional with real attention being paid to detail. My new ‘museum’ was certainly value for money and I would recommend Peter to any establishment or school. 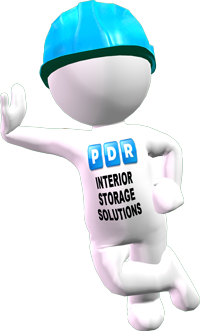 I have used PDR Services on three separate occasions over the past 12 months; for safety features, storage solutions and the erection of a home/office. I primarily used Peter for the quality of his work and his honesty and trustworthiness. I know I can leave him in my home and I'm absolutely confident that when I return everything will be safe and Peter will leave it clean, tidy and in good order. Quality for me is more important than cost, but Peter manages to deliver in both areas. A friend recently recommended Peter Rouncefield to me when I needed some building work undertaken. He gave me an estimate and soon arrived to complete the work. The work was completed on time and to a very high standard. I would certainly use him for any other future work and highly recommend him to whoever. We have used the services of Mr Peter Rouncefield on many occasions during a long period of time. The workmanship on each occasion has been of a high standard. His timekeeping was very good and after each job he would make sure that it was clean and tidy. 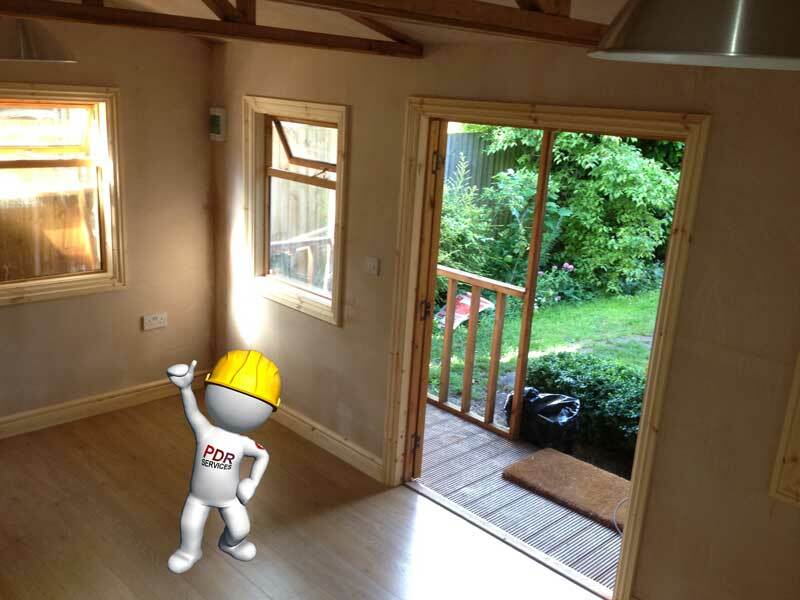 Due to the nature of our business we always look for reliable and hardworking builders. It’s a pleasure to work with Peter Rouncefield/PDR Services. We always got value for money, on time delivery and excellent results. From first contact to delivery, everything shows professionalism, commitment, customer oriented services and most importantly “Honesty”. Highly recommended”…. 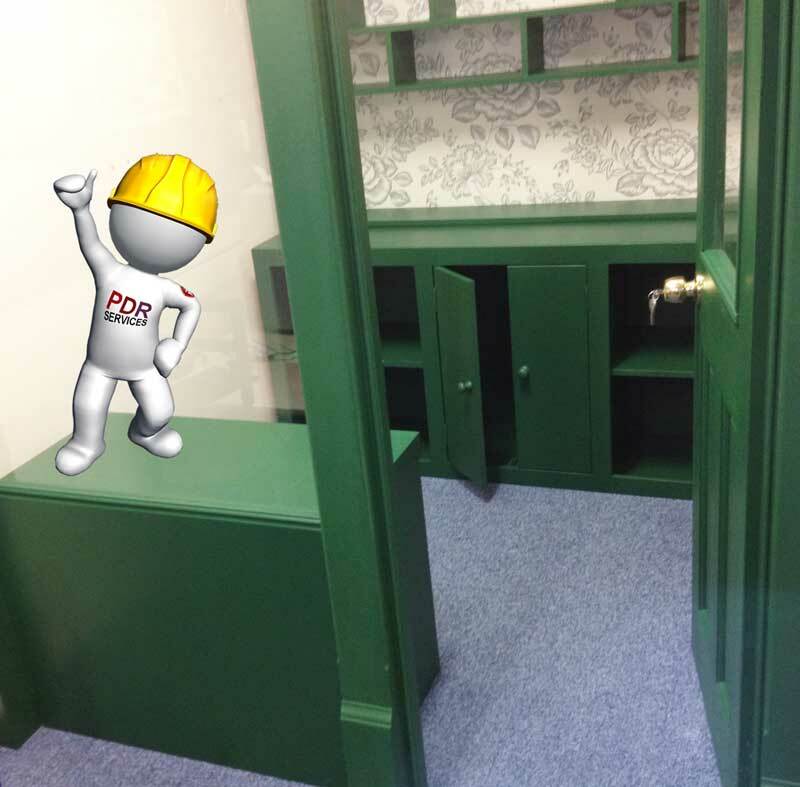 Having moved house with lots of little cosmetic (carpentry changes) required we asked PDR Services for a quote to carry out a range of jobs throughout the house. 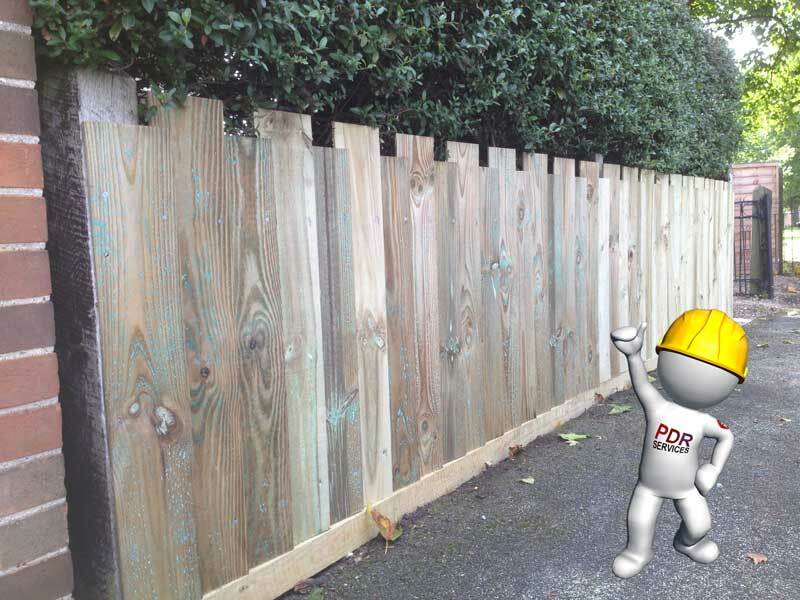 Whilst in the quote stage Peter suggested options on how to proceed to keep in mind what we could do to limit the expense and when the quote came in we instructed him to go ahead with the work. The work was carried out as quoted in a timely (when he said and the agreed time) and professional manner. We were impressed with the end result, all the work was delivered as requested, with no mess or fuss. 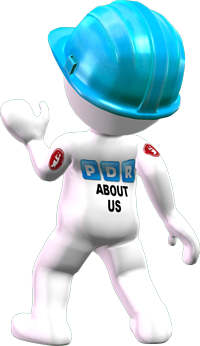 We would not hesitate to recommend PDR Services to others and will, of course, employ them again in the future. An old fence recently threatened relations with our neighbours. Peter took away the old fence including the awkward concrete posts and replaced it with a new one custom made to fit the alignment of our trees. We found Peter’s work to be of excellent quality, more importantly so did our neighbours who also appreciated his courtesy and the care taken with their shrubs. 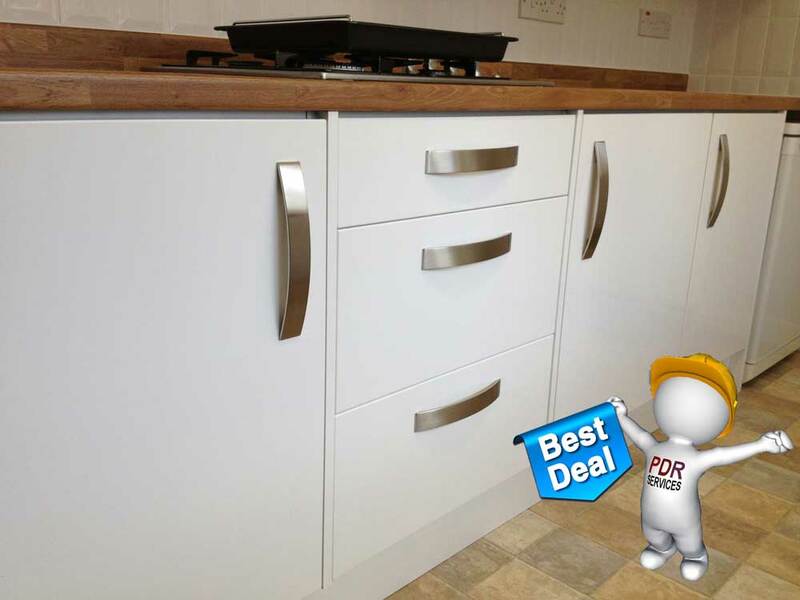 We found Peter to be reliable and professional and look forward to him returning to tackle a fitted wardrobe. I have employed Peter on several occasions. I found him to be extremely professional, reliable and conscientious. I was extremely happy with the quality and finish of his work. Highly recommended.